Tempranillo (also known as Ull de Llebre, Cencibel, and Tinta del Pais in Spain, Aragonez or Tinta Roriz in Portugal, and several other synonyms elsewhere) is a black grape variety widely grown to make full-bodied red wines in its native Spain. Its name is the diminutive of the Spanish temprano ("early"), a reference to the fact that it ripens several weeks earlier than most Spanish red grapes. Unlike more aromatic red wine varieties like Cabernet Sauvignon, Sangiovese and Pinot noir, Tempranillo has a relatively neutral profile so it is often blended with other varieties, such as Grenache and Carignan (known in Rioja as Mazuelo), or aged for extended periods in oak where the wine easily takes on the flavor of the barrel. 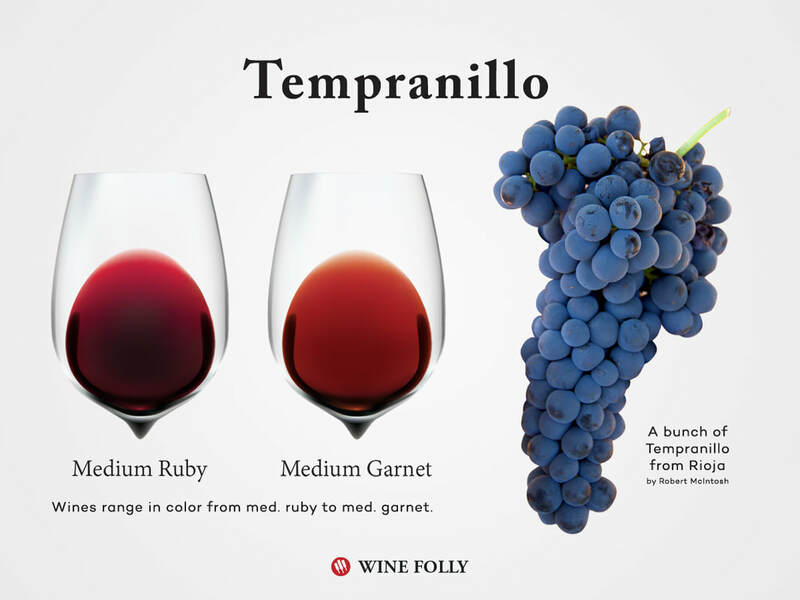 Varietal examples of Tempranillo usually exhibit flavors of plum and strawberries.